This is a popular fritter that’s made with breadfruit. It’s the perfect blend of sweet and savory! Preheat oil in a deep-fryer or saucepan over high heat. Peel, core, and cut the breadfruit into medium-size chunks. 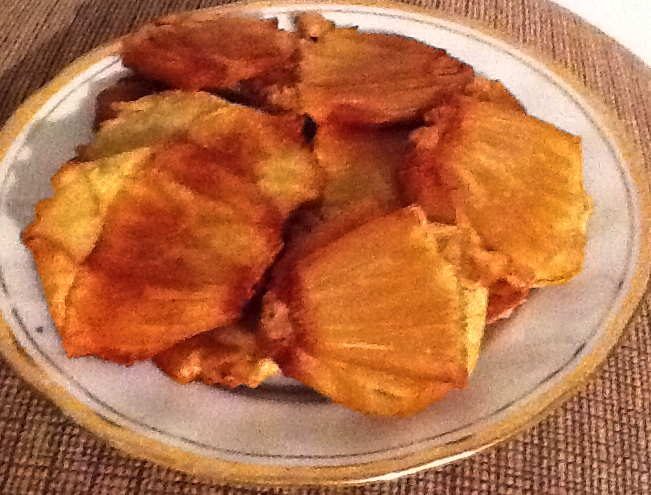 Reduce to medium-high and deep-fry the breadfruit chunks. Cook in the oil for 25 mins. Remove from the oil and press the breadfruit pieces flat. Deep-fry the pieces over high heat until golden brown for 2-3 mins.